Tommy Wirkola’s international career had begun badly with Hansel and Gretel Witch Hunters, an enticing film on paper who proved to be unsuccessful. 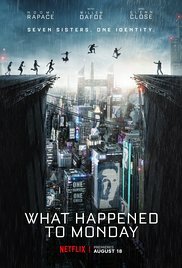 After shooting Dead Snow, the director makes another attempt with Seven Sisters, or “What Happened to Monday”? The film is a pleasant surprise and gradually transformed itself into a thriller where the action is carried out with a masterly hand. Wirkola offers a solid history with compelling action sequences and allows himself an exemplary sobriety turning a film concept into a work of explosive science fiction. The fluidity of the staging, the ramifications of the scenario and the universe anchored in the narration make 7 Sisters a success. The rhythm is maintained from the beginning to the end. Do not miss this film, who is never stupid, does not forget to entertain without never betraying its subject. 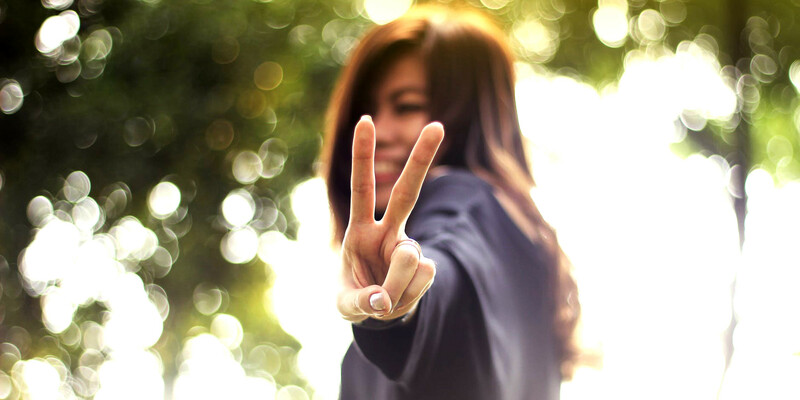 Lynn is a young student with promising talent. This young prodigy gets a scholarship in great universities to study there. One day, she agrees to help her friends to take an exam for large sums of money. 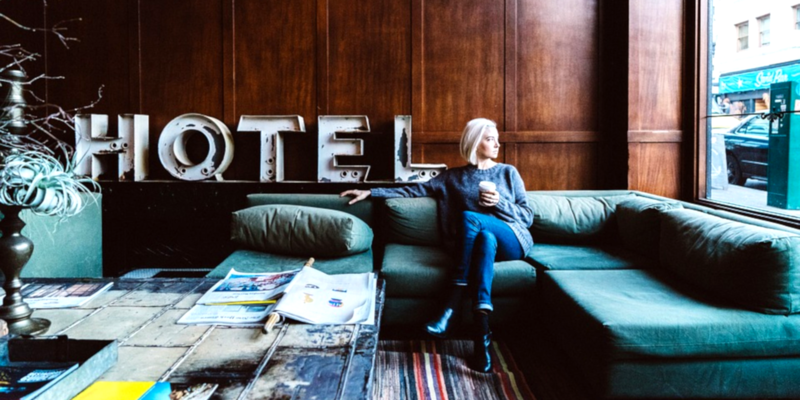 Quickly, she builds a small network and her bank funds quickly increase. Lynn sees his cheating techniques over when the school discovers the fraud. The school cancels his right to the scholarship, and the gifted student swears that she will never cheat again for money until the day her best friend offers her an enormous amount to help to fraud on the biggest global exam, the STIC. Lynn will have to be ingenious and thoughtful, and she will also have to use her memory to fight against the supervisors of this test. Piano notes, writing on erasers, memory tricks, pencils with a cracked bar code, and more are waiting for you in this comedic suspense. 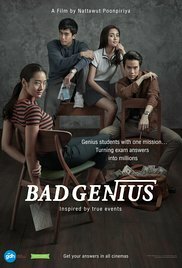 With the elements listed above, it ‘s hard to expect a real suspense as we know it today, but Bad Genius is actually a surprising thriller. There is no investigator, the narrative takes place in a school, with average students, no shady individual is walking in the dark and above all, there is no murder. The viewer expects secondary dramas rather than suspense, but Bad Genius keep his audience in suspense from the beginning to the end. The cheating scenes are worthy of the biggest scenes of suspense films, where each second seems to last an eternity and where everything can collapse in the space of a few seconds. Overwhelmed by bad luck since their birth, the two brothers Logan, Jimmy (Tatum) and Clyde (Driver), decide desperately, to rob a bank where Jimmy lost his job a few weeks earlier. Both of them have a disability, so the two brothers choose to recruit their younger sister (Riley Keough), as well as Joe Bang, a notorious criminal, incarcerated in a prison where all inmates wear a big striped suit as in the old comics. We are clearly in the comic book, where Soderbergh sometimes gives a glance at the Coen brothers but without revealing anything about the plot not to spoil any pleasure. In the film, The pictures move from one plan to another without any transition. 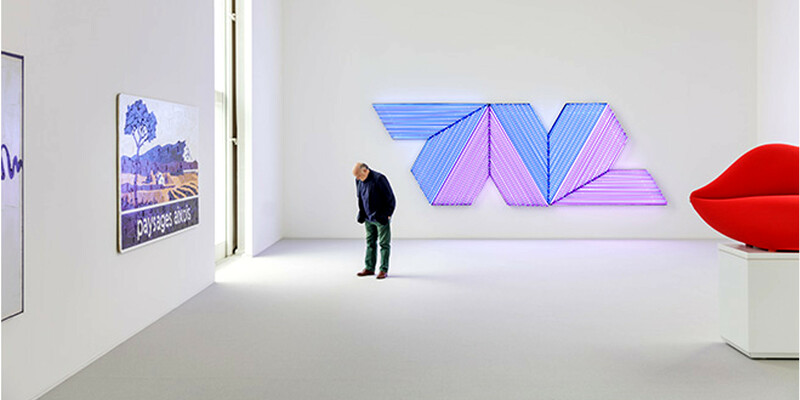 It’s up to the viewer to fill the gaps and imagine, but explanatory” flashbacks, complete the gap at the end. If you like the Ocean’s film type, you will not be disoriented. 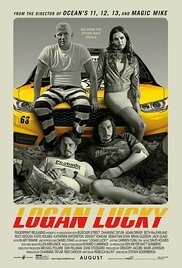 The film certainly does not revolutionize the genre, but we must admit that Logan Lucky is incredibly funny and efficient thanks to an excellent scenario filled with percussive dialogues and crazy characters. Channing Tatum, Adam Driver and Daniel Craig (unrecognizable) form a trio of soc ‘cases we take a cunning pleasure to follow. In summary: a funny breakout comedy with some great actors! The film tells the story of Koreans people sent to work during the Japanese colonization in an underwater mine on a Japanese island. The film was already sold in 113 countries even before being released. Directed by Ryoo Seung-wan, the movie is based on historical facts and describes the miserable lives of Koreans mobilized for forced labor on this island called Hashima or “Warship Island,” 18 km off Nagasaki. 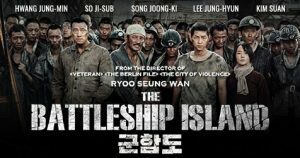 The cast includes the famous Korean actors Song Joon-ki, Hwang Jung-min and So Ji-sub, who play the protagonists of the film. Most Asian countries paid the highest price compared to the Korean films released in the past. The film was sold in North America, France, Italy, Russia, Turkey, Japan, Hong Kong and Vietnam. 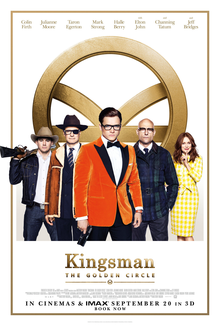 KINGSMAN, the British Intelligence elite in a three-piece suit, faces an unprecedented threat. While a bomb fell and destroyed their headquarters, the agents discovered a powerful allied organization called Statesman, founded long ago in the United States. Facing this ultimate danger, the two elite services will have no choice but to unite their forces to save the world from a ruthless enemy, who will not shrink from anything in his destructive quest. First planned for summer 2017 (like its predecessor), Kingsman: The Golden Circle was postponed to 2018, to be brought back again in September 2017.